KARACHI: At least 45 people were killed and several injured after gunmen opened fire on a bus of the Ismaili community near Safoora Chowrangi area of Karachi on Wednesday. Between 60 and 65 people were riding in the overloaded bus, which belonged to the Ismaili community. 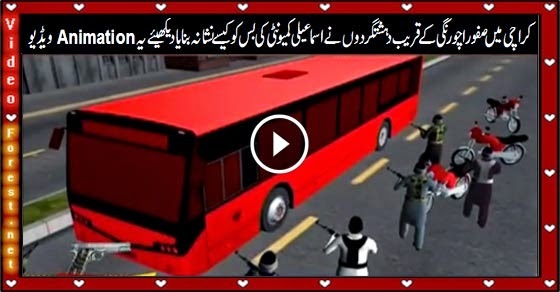 The bus was traveling towards Aisha Manzil when it was attacked, police said. All the victims, which included both men and women, belonged to the minority community. "At least six gunmen attacked the bus in the Safoora Goth area of Karachi," said a senior police official. Most of the injured were taken to the nearby Memon Hospital Insitute while others were taken to Aga Khan Hospital and Abbasi Shaheed Hospital. Initial police investigation revealed that the six gunmen riding on three motorcycles stopped the bus and entered it from the back door. The attackers first killed the driver and then opened indiscriminate fire on the passengers, shooting them in the head and neck. An injured bus conductor later managed to drive the bus to the Memon Hospital Institute, about 7 kilometres away, where an emergency was imposed due the large number of wounded people.